In celebration of Kalilangan Festival, SM City GenSan holds some events that highlight the rich culture and tradition of GenSan as it also celebrate the 74th Foundation Anniversary of the city. To culminate the celebration they serve us their first ever 3-Day Sale taking SHOPPING & ENTERTAINMENT to the NEXT LEVEL! Letting us enjoy up to 70% off on selections mall-wide. Mark your calendars on March 1, 2 and 3, 2013. Also, get a chance to win 1 of 3 Devant 50" SMART 3D Internet TV when you shop during these dates. So, what are you waiting for? Shop now! Apart from giving us a great shopping offer, they don't hold bars on bringing the country's new shinning stars rapper Abra and the cool dance group Chicser. 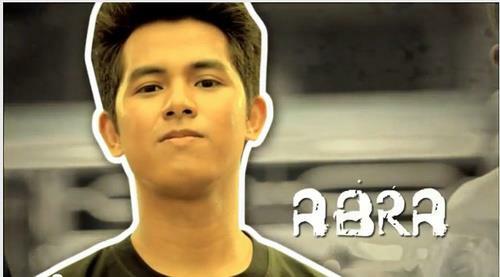 Listen to the great voice behind Gayuma by the one and only Raymond Abracosa or also known as Abra on March 01, 2013 Friday at Al Fresco Strip, SM GenSan. 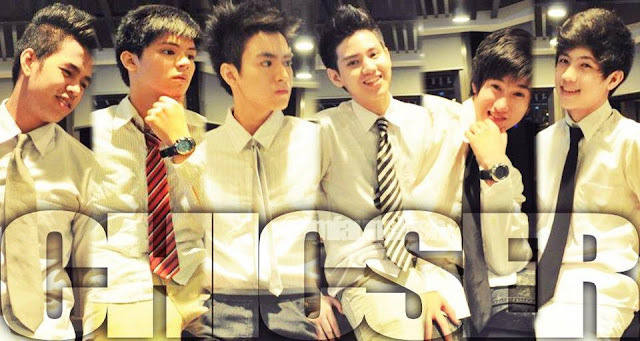 Chicser is an all young boy dance group that trend in a social networking site Twitter after broadcasting themselves on a micro blogging site; Youtube. It is indeed that the list of internet sensation becomes unstoppable and now here they came to be part of that elite list. Brace yourself because they might cause a mini heart attack if you see them in person. That look. That talent. That charm. That is Chicser. 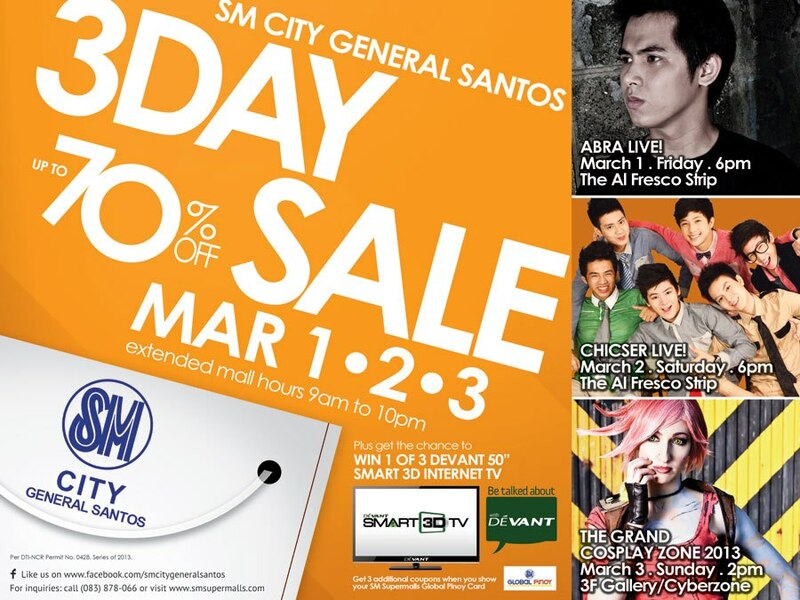 Catch Ullyses Webb Basa, Clarence Adrian Villafuerte, Biboy Chua Cabigon, Owy Posadas, Oliver Lance Posadas and Ranz Kyle Viniel E on March 02, 2013 Saturday at Al Fresco Strip, SM GenSan. 2. Only receipt transactions dated February 27 and 28, 2013 shall be honored. 3. To claim the VIP Pass, customer shall present on-date proof of purchase at the redemption counter from 2:00pm to 6:00pm of February 27 and 28, 2013. 4. VIP Pass is transferable. Lost VIP Pass shall not be replaced. 5. 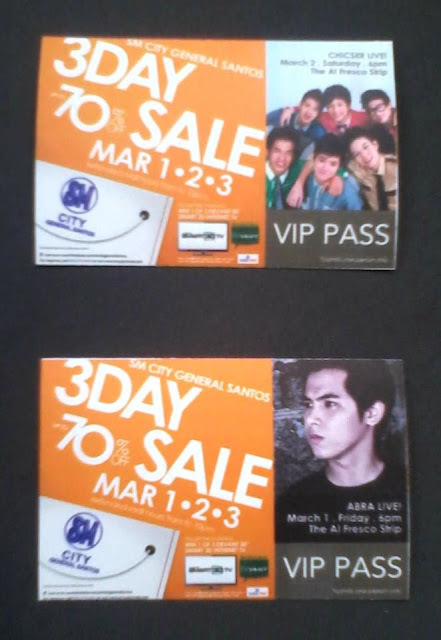 Abra and Chicser Mall Show VIP Pass shall be for the first 150 customers only. Redemption of VIP Tickets will be on February 27 & 28, 2013; 2 PM - 6 PM at the booth near the Carousel. Just present your on-the-date Official Receipts to avail such. By the way; I already got my VIP Pass, so you have to get yours too before you run out of these very limited tickets.